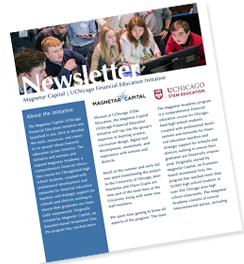 July 1st marked 1.5 years of the Magnetar Capital UChicago Financial Education Initiative (MCUFEI). The MCUFEI team is thrilled with our progress this past year, which included: expanding Magnetar Academy to 66 schools, creating an online Professional Learning Course for teachers, developing cumulative projects to help teachers assess student learning, and updating the Magnetar Academy curriculum for content, references, and formatting. In addition to supporting and improving Magnetar Academy, MCUFEI is also in the process of developing a new and innovative financial education curriculum for high school students. The new curriculum will be written and piloted over the next two years. It will eventually replace the financial literacy curriculum that we currently offer to schools. The purpose of this blog series is to provide a behind-the-scenes look at the evidence and expertise that grounds the new curriculum. We hope that you will take interest in the research, development, and feedback process that we use to develop this first-of-its-kind curriculum. Poured through the research. Why doesn’t traditional financial education work? What are the essential skills and knowledge that students need to manage money well? Is “Just-In-Time” financial education enough? 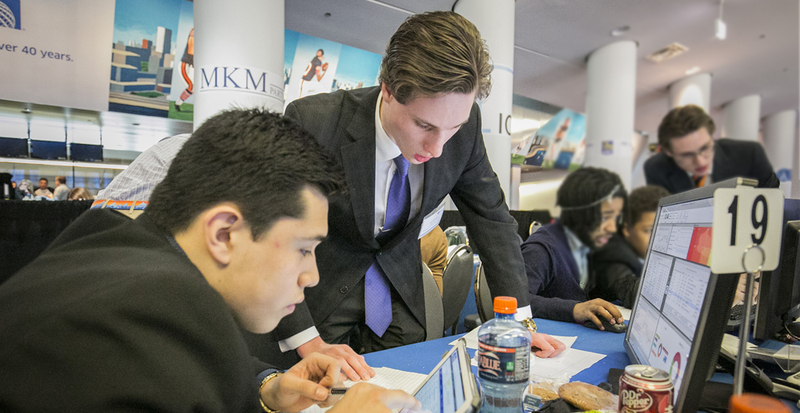 What do students really need to know about the various areas of financial literacy? These are among the questions the team grappled with this past year. In all, we reviewed hundreds of papers to figure out what, when, why, and how financial education works best. Connected with financial capability experts. We spoke with over ten academic and practical experts in personal finance to understand how to best apply their findings to our work. One highlight was hosting Dr. Annamaria Lusardi, arguably one of the leading financial literacy experts in the world! We also attended conferences and events across the country to get a better understanding of where financial education goes right and where it goes wrong. Produced white papers. After pouring through the research and talking through our ideas with experts, we produced several white papers. The white papers reviewed the research and distilled the essential ideas that the curriculum must emphasize for students. Seven content-focused white papers and five pedagogy-focused white papers were produced or commissioned. Solicited expert review. After the white papers were crafted, we asked experts in the respective content or pedagogy area to review the papers and our findings. This feedback and insight was then incorporated into the paper and additional research was done to answer any lingering questions posed by experts. In all, ten academic and/or practical experts reviewed our white papers. The research we completed over the past year and a half will be used to inform the writing of our curriculum. This is just the start of an exciting project to transform and advance youth financial education. Stayed tuned for more updates and insights from the MCUCFEI team.